The IP tests are regulated in Europe by the CEI EN 60529 1997-06 standard (IEC529 ex CEI 70-1) + A1 2000-06 Define "Degrees of protection of enclosures", capable of establishing a degree of protection of the internal parts of any equipment or electrical material, the rated voltage of which it does not exceed 72.5 kV. This standard allows to indicate, through the IP code (Degree of Protection), the level of protection of enclosures for electrical equipment, against access to dangerous parts inside the casing and against the penetration of solid foreign bodies (as well as dust ) and water. . Warning! The protection against explosion risks or against environmental situations such as humidity, corrosive vapors, molds or insects is not considered. In any case, the declared IP protection degree must be guaranteed in the "ordinary condition of service of the appliances". The international classification system for the effectiveness of the hermetic seal against the penetration of foreign bodies into the equipment, uses the letters "IP" ("Ingress Protection" or Intrusion Protection) followed by two digits. An "x" is used to replace one of the digits if only one class of protection is present; e.g. IPX7 indicates a resistance to immersion..
- IP X1 Protected against vertical falling water drops. - IP X2 Protected against vertical falling water drops when device is hited up to 15°. - IP X3 Protected against spraying water. - IP X4 Protected against splashing water. - IP X5 Protected against water jets. - IP X6 Protected against heavy seas, powerful water jets. - IP X7 Protected against effects of immersion. - IP X8 Protected againstindefinite immersion. - IP 1X Protected against solid bodies > a 50 mm and the back of the hand. - IP 2X Protected against solid bodies > a 12 mm and a finger. - IP 3X Protected against solid bodies > a 2,5 mm and a tool larger in diameter than 25 mm. - IP 4X Protected against solid bodies > a 1 mm and a wire larger in diameter than 1,0 mm. - IP 5X Protected against dust and wire. - IP 6X Completly Protected against dust and wire. 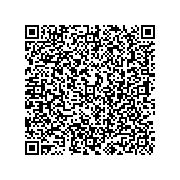 If instead you are interested in IP69K tests push here. The German regulation DIN 40050 part 9, created for the automotive sector, has the same object and purpose as the EN 60529 standard but introduces other degrees of protection. 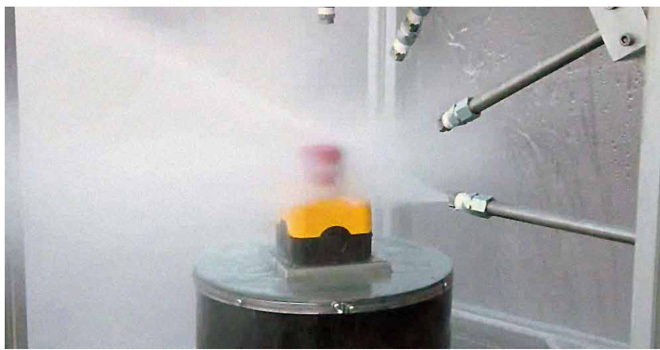 Observing the second characteristic figure (part 2), it is noted that the letter K is inserted which delineates a higher level of protection in the tests with high pressure sprays or jets. In America and Canada the degree of protection is defined by a series of tests regulated by an underwriters laboratories - UL standard 508 - TYPE; and from the National electrical manufacturers association - STANDARD 250 - NEMA instead of the IP Grade. Compared to EN 60529, the NEMA classification takes into account other specific factors such as rust, corrosion, oils and coolants, ice, explosive powders and gases..
IP 55 NEMA 3 Indoor use Rain, sleet, windblown dust, external formation of ice. IP 54 NEMA 3R Outdoor use Rain, sleet, external formation of ice. IP 55 NEMA 3S Outdoor use Rain, sleet, windblown dust, external mechanism operable when ice laden. IP 56 NEMA 4 Indoor or Outdoor use Windblown dust and rain, splashing water, hose directed water, external formation of ice. Outdoor use Windblown dust and rain, splashing water, hose directed water, corrosion, external formation of ice . Outdoor use Hose directed water, temporary submersion, external formation of ice. Outdoor use Hose directed water, prolonged submersion,external formation of ice. NEMA 7** Indoor Class I, Division 1, Groups A, B, C and D hazardous locations, air-break equipment. Outdoor use Class I, Division 1, Groups A, B, C and D hazardous locations, oil-immersed equipment. NEMA 9** Indoor use Class II, Division 1, Groups E, F and G hazardous locations, air-break equipment. IP 54 NEMA 12 Indoor use Circulating dust, falling dirt, dripping noncorrosive liquids. IP 54 NEMA 13 Indoor use Lint, dust, spraying of water, oil and noncorrosive coolant.